We’ll know the story of two best friends named Liana and Alexa, a story full of adventures and a very strong bond between them: their friendship, which had to go through many trials before reaching the Diamond Castle. They live together in a humble cottage; they only have each other and support themselves unconditionally. On day while the girls are walking in the forest, an old woman gift them a mirror that at first, seems like a normal mirror, but they never imagined the extraordinary adventure would happen in their lives. Inside the mirror dwells Melody, a muse apprentice, who’s hidden from the evil muse Lydia and her ugly dragon Slyder. This pair of evil characters, bewitched the Diamond Castle because they wanted to take control of the place, a beautiful kingdom where songs are born. 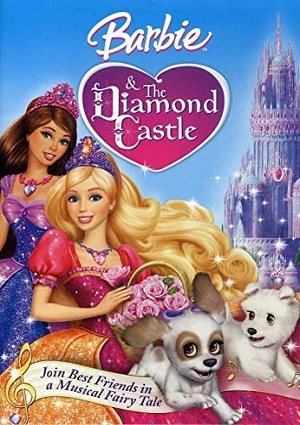 Alexa and Liana will help Melody to break the spell and return to its previous state the Diamond Castle, but to do this they will have to go through unexpected adventures and even their friendship will be tested before triumphing. Lydia and Slyder will not allow them to achieve their goal and will do everything to destroy them. What will be the end of the story? Discover it!